Strategic Floor Reinforcement combines the use of the PNA Diamond Dowel® System and PD3 Basket® assembly. It assures the use of minimal steel to reliably deliver joint stability without restraint. Adding the PNA HydraCure™ curing covers to the design provides a proper cure and improves long-term abrasion resistance and aesthetics. PNA also offers a full series of armor edge assemblies for protecting your construction joints with steel. As part of the strategic floor reinforcement, the PD3 Basket® assemblies are tapered plate dowel baskets for saw-cut contraction joints. These are designed to allow your concrete flatwork to withstand repetitious, concentrated loads with increased joint stability and positive load transfer. 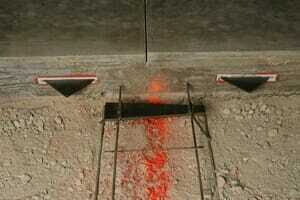 These can be used for saw-cut contraction joints in concrete slabs on grade and pavements. 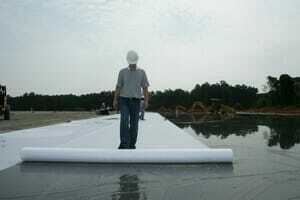 HydraCure™ covers provide efficient hydration while assuring an appealing appearance on the slab. 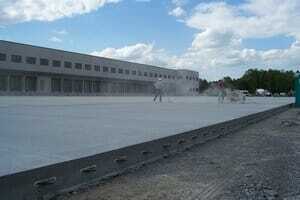 HydraCure™ moisture curing covers help you ensure a gradual, uniform and controlled concrete curing and hardening. HydraCure™ covers will provide a residue and stain-free slab, provide effortless handling and are water-resistant during storage. PNA Armor-Edge® are armored joint assemblies to protect your joints from spalling and assure smooth transition over joints. These come fully assembled and ready to use. Over the life of the slab, you will realize cost savings related to slab maintenance, lift-truck traffic repairs and facility closures. 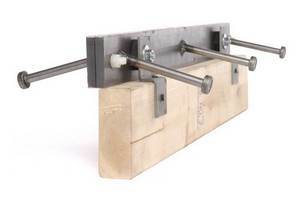 These assemblies are for construction joints that are expected to open more than 1/8″ (3mm).